Death row inmates will no longer be kept in indefinite solitary confinement in San Quentin State Prison, it was announced Monday [March 6]. The agreement was part of a settlement of a 2015 lawsuit filed on behalf of six inmates who were held indefinitely in what is called an “adjustment center” because they were suspected of being gang members. When the lawsuit was filed, there were some 100 inmates being held in the adjustment center. Since then, the number has fluctuated from around 10 to 22 inmates. When: Saturday, May 23, 2015 – and the 23rd of each month thereafter. 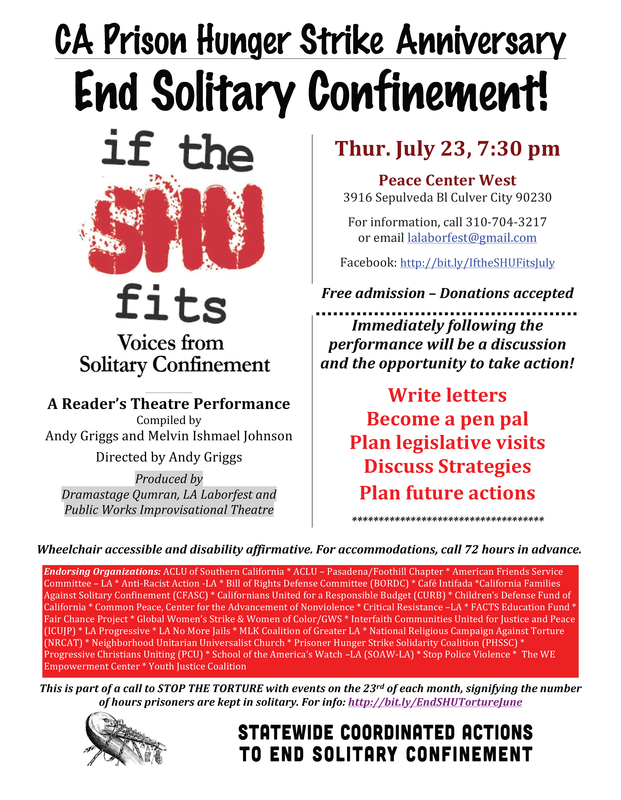 What: Community organizations, families and loved ones of people in solitary, and advocates across California will be mobilizing a day of Statewide Coordinated Actions To End Solitary Confinement each month. 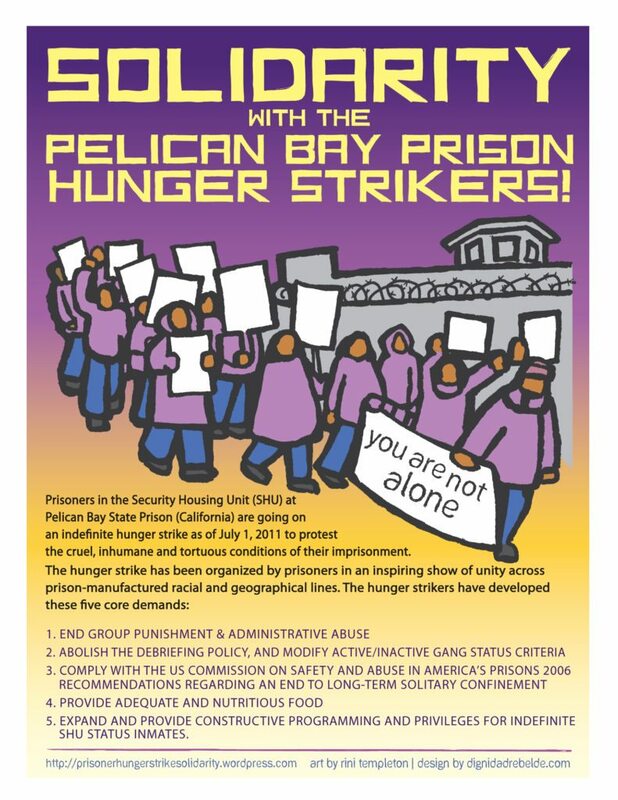 These mobilizations are a response to a proposal from prisoners in Pelican Bay State Prison involved in the 2011 and 2013 Hunger Strikes, who put forward the idea of designating a day each month as Prisoner Rights Day. 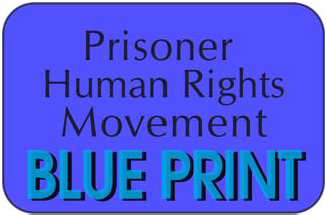 Who: The actions are being organized by groups with the Prisoner Hunger Strike Solidarity Coalition (PHSS), and are endorsed by over 30 community groups and organizations from California, and around the nation and world. Why: The California Department of Corrections and Rehabilitation (CDCR) refuses to respect basic human rights by continuing to keep people isolated in cells, often for years upon years, despite international condemnation calling on California to end its practice of solitary confinement. 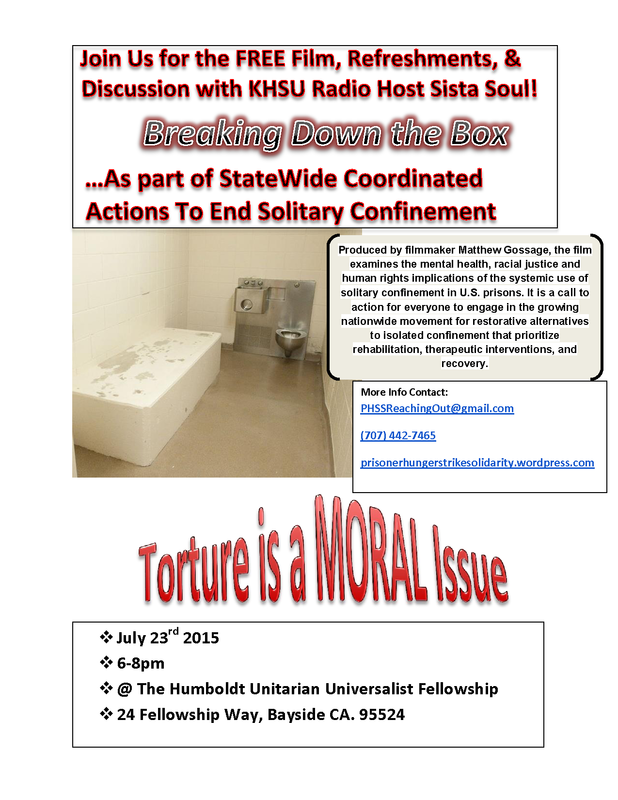 Solitary confinement has been defined as torture by the U.N., yet the U.S. puts more people in solitary and for longer periods than any other country, and California continues to be an outlier in the U.S. California continues to use the practice in violation of international law and, as many believe, in violation of the U.S.’s policy against cruel and unusual punishment. These coordinated actions seek to build organized, community-based pressure outside prison walls, and to amplify the demands of prisoners who continue to call for the end of torture.